Ringstar Boxing, Asia’s fastest growing sports media property, is all set for its upcoming ‘Roar of Singapore V - The Kings of Lion City’, to be held on September 29, 2018, at the Marina Bay Sands, in Singapore. The highly anticipated ‘Roar of Singapore V’ also heralds the first co-promotion between Ringstar and Marina Bay Sands. 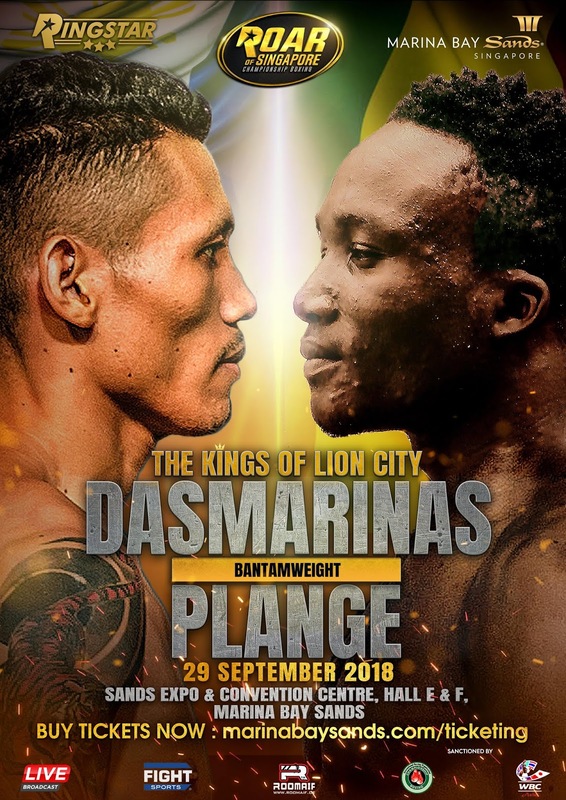 ‘Roar of Singapore V - The Kings of Lion City’, is headlined by Singapore’s one-and-only undefeated boxer and current IBO Intercontinental Featherweight champion, Muhamad “The Chosen Wan” Ridhwan, (11-0), who will go up against Paulus “The Rock” Ambunda of Namibia, former WBO World champion, and former 2x IBO World champion, for the much prized IBO World Super Bantamweight title. There will be a total of 9 fights for ‘Roar of Singapore V - The Kings of Lion City’.